The Russians sent up the first human-made satellite up in space back in 1957 called Sputnik 1. It was a piece of metal that did nothing else but send Morse code back to earth. You could just guess from which country the author belonged to. Yes, sure, it was a piece of metal but a functional one; such was its design that it not only the first one ever to reach outer space but also to deploy the antenna correctly and autonomously send a beacon down to earth after withstanding near fatal acoustic stress, mechanical vibrations and shock that the launcher would impose. Think about this; everything had to work as calculated and everything did work. If something did go wrong, no one would ever know what went wrong(except for, of course, the launcher exploding). No communication, no satellite. Takes a lot of imagination and lot of sleepless, sleepless nights working on the system again and again and again. And no, Sputnik 1's mission wasn't just to send a Morse code beacon back to Earth. There was a lot to it than that [HERE]. The point I am trying to make is no space mission is small while starting out. The keyword in the previous statement to remember is: while starting out. Trying to build a satellite that sends signal; any signal, already speaks volumes of the ingenuity placed upon the system's design. But you look at me say, "hey, but that's not solving real problems. No one wants to fund a project that goes up to space and does nothing but say HELLO WORLD every pass it makes." That's a very valid point. So let's address that. A university is going to start out on a space system. Usually, the best way to do that is to use a CubeSat platform. It's popular, there's more than 15 years of space experience backing the standard and universities have shown that they can build better, useful missions based on the CubeSat legacy that they have built over time. It's proven to work. Great. But before we get too ahead of ourselves, let's look at the past and think WHY CubeSats came into existence the first place. The basic idea was that there was no proper hands-on, university level training for students who had taken the satellite course. To address the void of students joining the satellite industry without any experience, a CubeSat based education was imparted. Because it was a university undertaking a space project and not some traditional aerospace company, they had to make it for cheap. Fortunately, the use of home appliances and electronic devices had driven both the cost and size down. The only thing that was remaining was to use those components on the satellite, conduct risk mitigation and launch them. Launching? well, defining the volume and size allowed everyone to share the same deployer while helping launching companies to provide small pockets of space in their rockets. You can see why the concept went viral. To recap what I wrote above, CubeSats were made to teach building working satellites in the cheapest way possible. That was it. A fully-functional educational tool that taught engineers to not only think but apply. However, as the years passed by, by so-called Moore's law, semiconductor industry was not only able to shrink electronics further but also add a punch in computational power. A phone now could not only phone but give you location, provide you an estimate of how many steps you took through out the day, take high resolution images, surf the internet and stream media and still fit in the palm of your hands. Naturally, because CubeSat's core principle lies in utilizing commercial-off-the-shelf-technology (COTS), these miniature satellites now were able to do missions that wasn't imagined before. A good example I always like to provide is of PlanetLab's Dove constellation which utilizes the platform while providing high resolution (3-5m) multi-spectral imagery of Earth. Quite an interesting age we live here. So let's now go back to the core of the question again; given that there are advanced, sophisticated systems that can fit in a CubeSat, where do universities beginning to scratch the surface of satellite technology draw the line between what's possible and what's not. Do you build a satellite that has meaning or do you simply build a satellite for the sake of building a satellite? In other words, for capacity building? Elon Musk's biography written by Ashlee Vance provides some solid clues as to how to work on technology that's not really there. Musk's two notable companies, Tesla and SpaceX, both pushed the boundaries to produce autonomous electric cars and reusable first-stage rockets that land themselves respectively. The way they were able to do that was to work on the technology from ground-up. Strip vehicle build and strip rocket build. What has this to do with CubeSats? Well, if you are a first grader kid who had the license to skip a class and move on to third grade, there's a good chance that you will still be able to complete the course work. What's happening here is that although the classwork assigned to you is above the pay grade, it's not wayy above your pay grade. Imagine moving to 10th grade, you won't survive a month. Sure, you could give it a shot but it's going to be a waste of both your and your teacher's time. 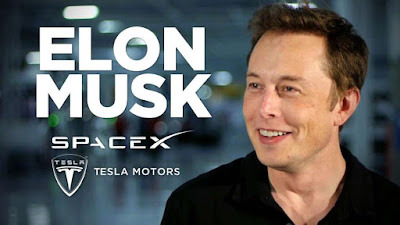 If, suppose, rocket building and electric car making was assigned as grade 10 course work, Musk's engineers were already at grade 7-8. They had to sweat and plough and sweat more to get straight through grade 10, but they managed to do so because they already had a certain base to work on. Similarly, when starting out a university level space mission, it's important to have an brutally-honest assessment of the team's capacity. Once that's checked, have a look at all the possible mission you have listed out. Grade your team's capability and then grade the mission out of 10. The missions that are 2-3 grades above your teams are missions which have a higher probability of success. This is extremely important. Both for you, your source of funding and your team. As NASA's V-chart for space project management shows, if you don't select the mission properly, you will have to go back to designing the whole system again (requirement baseline) if performance criteria (validation and verification) isn't met. This will be very, very bad news. There's a strong case for choosing a mission with higher success criteria; continued funding. Once you are able to prove that your university does have the capacity to build, test and run a satellite, there will be chance to collaborate and work with institutions, organizations and universities to obtain better funds and actually provide solutions to real problems. Much like how start-ups show a working prototype to get the next round of investment, a CubeSat team should first and fore-most demonstrate that they can build and work with a satellite BEFORE moving on to more challenging missions. I cannot stress this enough; mission defines payload and payload defines a system in a CubeSat. If you do not have a the capacity to first and foremost to build a CubeSat that functions, working on diffcult missions, however popular or in-demand, is absolutely suicidal. Don't get me wrong. Failure provides the best opportunities to learn. Things might not work the first time. But as an engineer, your main objective is to mitigate that as much as possible to build trust with the agency that's providing the cash to work on a mission. To do that, mission success is absolutely vital. 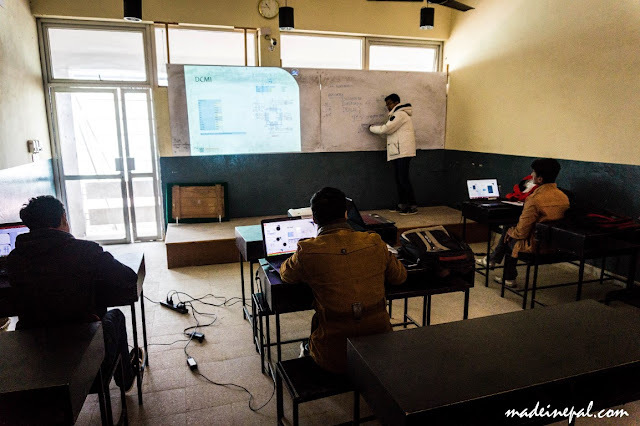 Pilot CanSat Training at Kathmandu University on December 2016. Satellite missions have three key aspects; Ground Station (GS) , actual satellite and launcher. The areas that needs training is GS and Satellite building. One key way to learn how to build satellites is to actually work on a pseudo-satellite, such as a CanSat. This does not necessarily mean that it has to be CanSat. Anything that teaches students about software coding, simulation, hardware designing, electronics and wireless transmission. Because CubeSats are based on COTS, an array open hardware and software are available on the internet. It's all down to how you search them on the net. The focus should be on real, practical competitions where you are asked to build an autonomous embedded system to fulfill a specific task . Designing a mission for competitions on paper is important but that comes AFTER learning how to build a system from scratch. That provides a much stronger base to design a mission rather than a theoretical approach. A direct way is to either conduct or compete in CanSat competitions. Since these embedded systems are related to Satellite Systems Engineering, these competitions provide a 1) ideas 2) hands-on experience 3) holistic approach to systems engineering 4) timeline constraints 5) training on pressure design. Competitions could be both domestic and international. Korea has the Korea CanSat Competition where the selected few then go on to compete in Japan's competition. 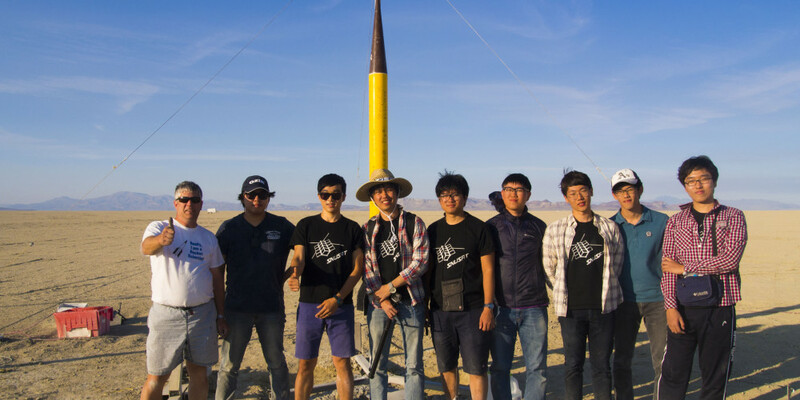 The most popular and highly regarded competition is the ARLISS competition (A Rocket Launch for International Student's Satellite) based in the US. Exposure to what the international community is building and how they get about doing that is of primary importance. That allows the team to 1) access what others are doing and compare with them 2) copy ideas. One thing our educational institutions don't teach is learning how to copy. Copying is regarded as intellectual property theft, however, it's an immensely effective tool to understand how systems are build. Every company, in some capacity, has stolen certain pieces of technology from a previous company. But importantly, has found ways to either 1) make it different 2) improve on the technology 3) make it cheaper. If your CubeSat team can find an interesting idea and copy that while doing any one of the three, the CubeSat has a better chance of receiving funds. Because it's COTS, a market study has to be done first to determine what payloads are available and then decide what mission to create. Mission can be doable and attractive at the same time. It's very possible to select a mission like that. I personally see two main areas where CubeSats can be exploited 1) technology demonstration and 2) payload testing. Because CubeSats are on space, it becomes an ideal test bed for tech companies working to build products for space. I have also seen bio companies interested in using CubeSats to see if a particular strain of bacteria survive in such harsh conditions or not. Those require simpler systems yet provide valuable information. In regard to 2) payload testing, a new COTS product might have come out in the market that could fit in a constrained volume. CubeSat's are a great way to test and use them for more expensive missions. For instance, certain types of image sensors or lens systems. Sure, you want to do serious missions, but as I said again, the CubeSat has to work first and then worry about changing the world later. A new team who is undertaking a new satellite mission has absolutely no clue what could go wrong and how treacherous and time consuming developing such systems are. And, I strongly believe, that's a good thing. If I was told how difficult it was before I undertook my CubeSat project during my Masters, I wouldn't have probably done it. Nope. Because I was naive, had a beginner's end in mind and because I was just too excited to see what was ahead of me, I managed to work and complete the project. The important thing to take care is this, you can build any system you want to build. But be sure that's under your capacity. If you don't have that capacity, raise that capacity. It always pays to become a beginner.